Penny Anderson Associates Ltd. (PAA) is highly experienced in the preparation of EIAs for larger projects, such as roads, runways and industrial schemes. All such schemes need to consider the implications for local air quality. New installations and altered road networks, will lead to changes in the pattern and levels of atmospheric emissions of nitrogen oxides and ammonia in particular, which may significantly impact on sensitive ecological receptors. PAA is able to offer a specific service in the assessment of these effects for planning and other purposes. Detailed knowledge of the legislation and science related to atmospheric pollution assessment. Experience of the assessment of the effect of changes in NOx and ammonia levels, and increased nitrogen deposition on sensitive ecological receptors such as woodland and heathland. Design and collection of relevant data relating to atmospheric pollution assessment based on vegetation survey (notably lower plants) and nitrogen biomonitoring studies. Preparation of EIA and public inquiry documentation and provision of Public Inquiry Expert Witness Role. Extensive work in support of the Stansted Airport second runway application, including nitrogen biomonitoring and survey work in the woodlands around Stansted, and EIA and proof of witness role in support of the application (client BAA). Input to the masterplan optioneering process for the development of a third runway at Heathrow (client BAA). Assessment of possible effects of high ammonia levels on designated sites close to large pig and poultry units (client Natural England ). The directive on ambient air quality and cleaner air for Europe (2008/50/EC) sets air quality limit values for the atmospheric concentrations of a range of pollutants including nitrogen oxides (NOx) and ammonia based on their effects on human health and sensitive ecosystems. UK legislation (UK Air Quality Strategy 2007) sets a non-statutory objective of 30µgm-3 NOx, as an annual mean, for the protection of vegetation. The United Nations Commission for Europe (UNECE) also sets critical loads and limits for the atmospheric concentrations of NOx and ammonia, and the total deposition of atmospheric nitrogen (kg Nh-1y-1) to sensitive habitats. 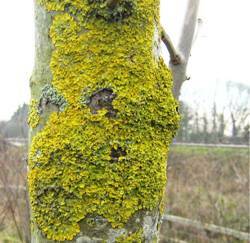 The critical level for ammonia (www.unece.org/env) was reduced in 2007 from 8µgm-3 to values of 3µgm-3 for vegetation generally, and 1µgm-3 for areas where lichens and bryophytes form a major part of the vegetation. Ammonia emissions are generally associated with agricultural activities, but emissions from busy roads can also be significant at the local level, and these new levels will impose much more exacting targets on developers in connection with designated sites in particular. The policy of the UK statutory nature conservation agencies is to apply the 30 µg m-3 criterion in internationally designated conservation sites and SSSIs on a precautionary basis. The Design Manual for Roads and Bridges (DRMB) guidance also requires detailed assessment for any development predicting increases of NOx levels of 2µgm-3 over such sites. 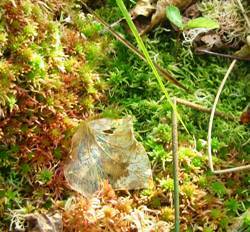 Increases in ammonia levels and total nitrogen deposition also need to be considered for nitrogen sensitive habitats, including woodland, heathland, grassland, bog and sand dune. Under the Habitats Directive any plan or project likely to have a significant impact on Natura 2000 sites (SPAs and SACs) may also need to be subject to Appropriate Assessment, with the need to demonstrate that any changes in air quality will not affect to integrity of the site.